The period of defeat and dissolution of the Ottoman Empire (1908–1922) began with the Second Constitutional Era with the Young Turk Revolution. It restored the Ottoman constitution of 1876 and brought in multi-party politics with a two stage electoral system (electoral law) under the Ottoman parliament. The constitution offered hope by freeing the empire’s citizens to modernize the state’s institutions and dissolve inter-communal tensions. Instead, this period became the story of the twilight struggle of the Empire. Ottoman military reforms resulted in the Ottoman Army engaging in the Italo-Turkish War (1911), the Balkan Wars (1912-1913), and the continuous unrest caused by the Ottoman countercoup of 1909, which preceded the 31 March Incident (Restoration, 1909) and 1912 Ottoman coup d'état (Saviours) and the 1913 Ottoman coup d'état) in the Empire up to World War I. The Ottoman entry into World War I in the Middle Eastern theatre ended with the partition of the Ottoman Empire under the terms of the Treaty of Sèvres. This treaty, as designed in the conference of London, gave a nominal land and permitted the title Ottoman Caliphate (compared with Vatican; a sacerdotal-monarchical state ruled by the Catholic Pope), not to be a further threat but just powerful enough to protect Britain from the Khilafat Movement. The 19th century saw the rise of nationalism in the Balkans which resulted in the establishment of an independent Greece, Serbia and Bulgaria. Most of the local Muslims in these countries suffered; many died during the conflicts and massacres while others fled. During the century many Muslim refugees called Muhacir, mainly from the Balkans but also from the Caucasus, settled in what later was to become the Republic of Turkey after the partitioning of the Ottoman Empire. With the rise of nationalism in Europe it became dominated by nation states. The Ottoman Empire differed in that its ruling class made no attempt to integrate conquered peoples culturally. The Porte had no official policy of converting the non-Muslims of the Balkans or Anatolia into Islam (their policy was to rule through the Millet system which formed a confessional community for each religion. [lower-alpha 1]) or converting them into a single nation. Phanariots, who were members of the prominent Greek families came to traditionally occupy major positions in the Empire. The Empire never integrated its conquests economically and therefore never established a binding link with its subjects. During its decline the Empire tried to catch up with the industrialization and a rapidly emerging world market by reforming their own state and society. Ottomanism surged as a concept its proponents believed could solve the Empire's social issues. 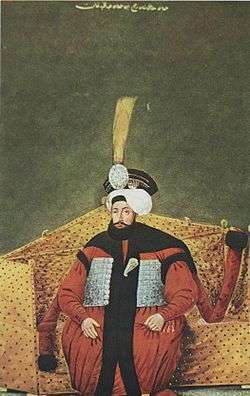 Ottomanism was strongly influenced by thinkers such as Montesquieu and Rousseau and the French Revolution, promoted equality among the millets and stated that its subjects were equal before the law. The idea originated among the Young Ottomans as an acceptance of all separate ethnicities and religions as Ottomans. 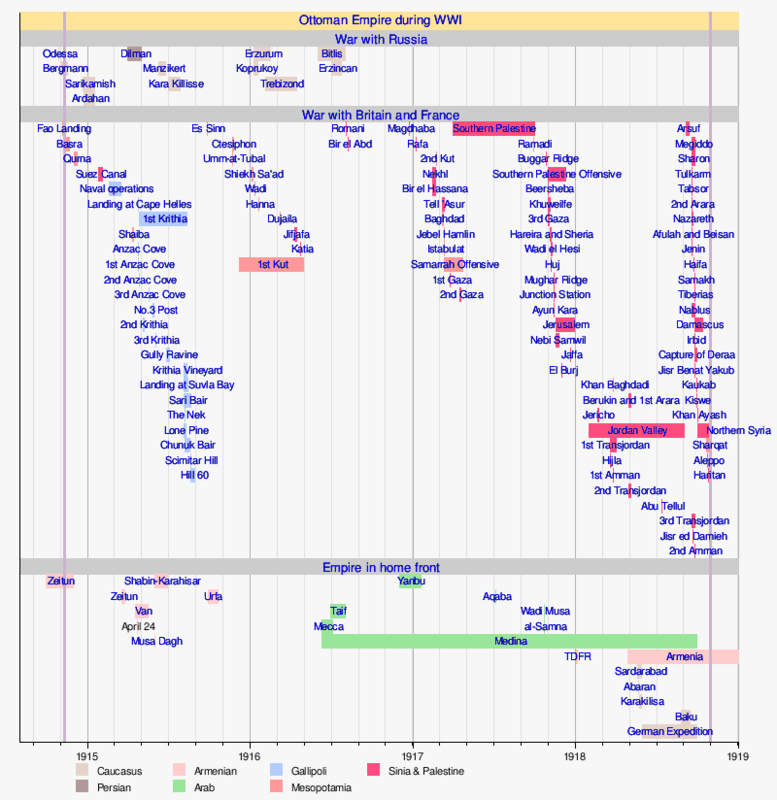 Major changes were introduced into the structure of the Empire. The essence of the Millet system was not dismantled, but secular organizations and policies were applied with the Tanzimat reforms. Primary education and Ottoman conscription were to be applied to non-Muslims and Muslims alike. When the Capitulations were first established it was supposed that foreign assistance could benefit the Empire. The capitulations stipulated that the privileges were based on religion. Ottoman officials, representing different jurisdictions, sought bribes at every opportunity and withheld the proceeds of a vicious and discriminatory tax system, which ruined every struggling industry by graft, and fought against every show of independence on the part of Empire's many subject peoples. 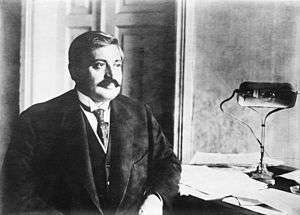 On 10 September 1915, the Minister of Interior Talat Pasha abolished the "Capitulations", while the capitulation holders refused to recognize his action. The Ottoman public debt was part of a larger schemes of political control, through which the commercial interests of the world had sought to gain advantages that may not have been of the Empire's interest. The total pre-war debt of Empire was $716,000,000. France had 60 percent of the total, Germany was 20 percent, and the United Kingdom was 15 percent. The debt was administered by the Ottoman Public Debt Administration and its power was extended to the Imperial Ottoman Bank (or Central bank). The Ottoman Debt Administration controlled many of the important revenues of the Empire. The Council had power over financial affairs. Its control even extended to determine the tax on livestock in the districts. Sultan Abdul Hamid in 1876 established the constitutional monarchy during what is known as the First Constitutional Era, only to last for two years before suspended. In July 1908, the Young Turk Revolution changed the political structure of the Empire. The Young Turks rebelled against the absolute rule of Sultan Abdul Hamid II to establish the Second Constitutional Era ushering a multi-party democracy. 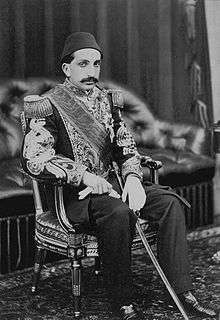 On 24 July 1908, Sultan Abdul Hamid II capitulated from his post and restored the Ottoman constitution of 1876. Once underground, the Young Turk movement declared its parties. Among them "Committee of Union and Progress" (CUP), and "Freedom and Accord Party" also known as the Liberal Union or Liberal Entente (LU) were major parties. There were smaller parties such as Ottoman Socialist Party. On the other end of the spectrum were ethnic parties which included; People's Federative Party (Bulgarian Section), Bulgarian Constitutional Clubs, Jewish Social Democratic Labour Party in Palestine (Poale Zion), Al-Fatat (also known as the Young Arab Society; Jam’iyat al-’Arabiya al-Fatat), Ottoman Party for Administrative Decentralization, and Armenians were organized under the Armenakan, Hunchakian and Armenian Revolutionary Federation (ARF). At the onset; there was a unification theme, and the groups which fought against each other wished to salvage a common country. The heads of the Macedonian bands (IMRO) fraternized with the members of the "CUP"; Greeks and Bulgarians embraced one another under the second biggest party, the "LU". The Bulgarian federalist wing welcomed the revolution, and they later joined mainstream political life as the People's Federative Party (Bulgarian Section). The former centralist of the IMRO formed the Bulgarian Constitutional Clubs, and, like the PFP, they participated in Ottoman general election, 1908. The system became multiple headed old and new living together, (until CUP became sole controller in 1913), under the chaos of change, the power was exercised with no accountability. In Summer of 1908 a variety of political proposals were put forward by the CUP. The CUP’s desire for modernization of the state by reforming finance and education and promoting public works and agriculture, and the principles of equality and justice revealed during this time. These were in CUP's election manifesto. 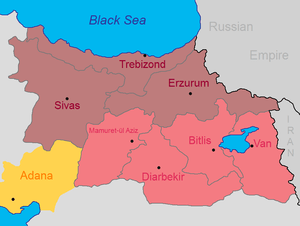 Regarding nationalism, (Armenian, Kurd Turkic..) CUP identified the Turks as the properly "dominant nation" around which the empire should be organized, and not [unlike] the position of Germans in Austria-Hungary.’ According to Reynolds, only a small minority in the Empire occupied themselves with Pan-Turkism. Ottoman general election, 1908, parliamentary elections, held in October and November 1908. CUP-sponsored candidates were opposed by the LU. The latter became a center for those hostile to the CUP. Sabaheddin Bey, who returned from his long exile presented his view that in non-homogeneous provinces a decentralized government was best. LU was poorly organized in the provinces, and failed to convince many minority candidates that they should contest the election under LU banner; it also failed to tap into the continuing support for the old regime in less developed areas. Those in the vanguard of reform had appropriated the notion of Ottomanism, but the contradictions implicit in the practical realization of this ideology — in persuading Muslims and non-Muslims alike that the achievement of true equality between them entailed the acceptance by both of obligations as well as rights — posed CUP a problem. October 1908 saw the new regime suffer a significant blow with the loss of three territories (Bulgarian, Bosnian and Cretan) over which the empire still exercised nominal sovereignty. 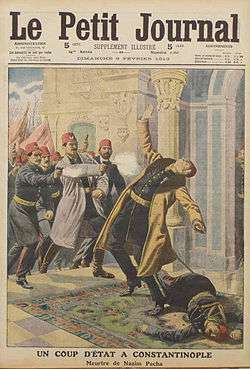 The Bosnian crisis on 6 October 1908, erupted when Austria-Hungary announced the annexation of Bosnia and Herzegovina, territories formally within the sovereignty of the Empire. This unilateral action—timed to coincide with Bulgaria's declaration of independence (5 October) from the Empire. The Ottoman Empire protested Bulgaria with more vigor than the annexation of Bosnia-Herzegovina, which it had no practical prospects of governing. A boycott of Austro-Hungarian goods and shops did occur, inflicting commercial losses of over 100,000,000 kronen on Austria-Hungary. 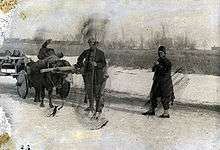 Austria-Hungary agreed to pay the Ottomans ₤2.2 million for the public land in Bosnia-Herzegovina. Bulgarian independence could not be reversed. 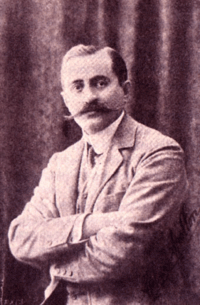 Just after the revolution (1908), the Cretan deputies declared union with Greece by taking advantage of revolution as well as the timing of Zaimis's vacation away from the island. The 1908 left the issue unsolved between the Empire and the Cretans. In 1909, after the parliament elected the governing structure (first cabinet), majority CUP, decided that if order was maintained and the rights of Muslims were respected, the issue would be solved with negotiations. The Senate of the Ottoman Empire was opened by the Sultan on 17 December 1908. The new year began with the results of 1908 elections. Chamber of Deputies gathered on 30 January 1909. The task of stopping the collapse of the Empire became the majority seat holder CUP's burden. CUP required to have a strategy to the ends [which they lacked before the takeover] for the young ideals envisaged. The truth was different. Ottoman government was a big bureaucracy. They may be late to arrive in this stage to have an impact, as there was only four years to the destruction of the Great War and in between time constant conflicts. In 1909, public order laws and police was not a match to the ideals represented. Protesters were prepared to risk reprisals on the part of police and soldiers in order to express their grievances. In the three months following the new regime there were more than a 100 strikes: Mainly in Capitol and Thessalonica. Estimated that three-quarters of the labor force of the Empire went on strike. CUP had little time with ‘we the people’. An interesting point was; the strikes and revolts happened before and Sultan remained above criticism (Anatolian tax revolts in 1905-7) and bureaucrats and administrators deemed corrupt. This time CUP was not immune and took the blame. In the parliament LU accused the CUP of authoritarianism. Abdul Hamid’s Grand Viziers Said and Kâmil Pasha and his Foreign Minister Tevfik Pasha continued in the office. They were now independent of the Sultan and were taking measures to strengthen the Porte against the encroachments of both the Palace and the CUP. Said and Kâmil were nevertheless men of the old regime. After nine months into the new government, discontent found expression in a fundamentalist movement which attempted to dismantle Constitution and revert it with a monarchy. 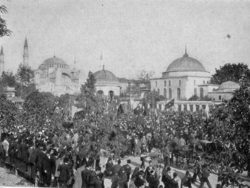 The Ottoman countercoup of 1909 gained traction when Sultan promised to restore the Caliphate, eliminate secular policies, and restore the rule of Islamic law, as the mutinous troops claimed. CUP also eliminated the time for religious observance. Unfortunately for the advocates of representative parliamentary government, mutinous demonstrations by disenfranchised regimental officers broke out on April 13, 1909, which led to the collapse of the government. On 27 April 1909 countercoup put down by "31 March Incident" using the 11th Salonika Reserve Infantry Division of the Third Army. Some of the leaders of Bulgarian federalist wing like Sandanski and Chernopeev participated in the march on Capital to depose the "attempt to dismantle constitution". Abdul Hamid II was removed from the throne, and Mehmed V became the Sultan. The Albanians of Tirana and Elbassan, where the Albanian National Awakening spread, were among the first groups to join the constitutional movement. Hoping that it would gain their people autonomy within the empire. However, due to shifting national borders in the Balkans, the Albanians had been marginalized as a nationless people. The most significant factor uniting the Albanians, their spoken language, lacked a standard literary form and even a standard alphabet. Under the new regime the Ottoman ban on Albanian-language schools and on writing the Albanian language lifted. The new regime also appealed for Islamic solidarity to break the Albanians' unity and used the Muslim clergy to try to impose the Arabic alphabet. The Albanians refused to submit to the campaign to "Ottomanize" them by force. 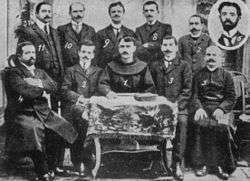 As a consequence, Albanian intellectuals meeting, the Congress of Manastir on November 22, 1908, chose the Latin alphabet as a standard script. The interstate system at the beginning of the twentieth century was a multipolar one, with no single or two states preeminent. Mukipolarity traditionally had afforded the Ottomans the ability to play off one power against the other, which they did at times with consummate skill. Initially — CUP and LU — turned to Britain. Germany had supported the Abdul Hamid II regime and acquired a strong foothold. By encouraging Britain to compete against Germany and France, Empire hoped to break France and Germany’s hold and acquire greater autonomy for the Porte. 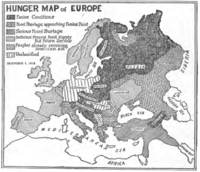 Hostility to Germany increased when her ally Austria-Hungary annexed Bosnia and Herzegovina. The pro-Unionist Tanin went so far as to suggest that Vienna's motive in carrying out this act was to strike a blow against the constitutional regime and assist reaction in order to bring about its fall. Two prominent Unionists, Ahmed Riza Pasha and Dr. Nazim Pasha, were sent to London to discuss options of cooperation with Sir Edward Grey and Sir Charles Hardinge. Foreign Minister Tevfik's successor, Mehmed Rifat Pasha was a career diplomat from a merchant family. The CUP, who were predominantly civilian, resented the intrusion of the army into government. One way to challenge and undermine the army’s position was by attacking Germany in the press and supporting friendship with Germany’s rival, Great Britain. But neither Britain nor France responded to CUP's advance of friendship. In fact France resented the government's (Porte) desire to acquire financial autonomy. The Liberal Union Party presented the peace proposal to the Ottoman government as a collective démarche, which was almost immediately accepted by both the Ottoman cabinet and by an overwhelming majority of the parliament on January 22, 1913. The 1913 Ottoman coup d'état (23 January), was carried out by a number of CUP members led by Ismail Enver Bey and Mehmed Talaat Bey, in which the group made a surprise raid on the central Ottoman government buildings, the Sublime Porte (Turkish: Bâb-ı Âlî). During the coup, the Minister of the Navy Nazım Pasha was assassinated and the Grand Vizier, Kâmil Pasha, was forced to resign. The CUP established tighter control over the faltering Ottoman state. Mahmud Sevket Pasha was assassinated just in 5 months after the coup in June 1913. LU supporters had been involved in the assassination; their crush followed. Cemal Pasha was responsible for executing revenge. The execution of former officials had been an exception since the Tanzimat (1840s) period; the punishment was the exile. The public life could not be far more brutish 75 years after the Tanzimat. The Foreign Ministry was always occupied by someone from the inner circle of the CUP except for the interim appointment of Muhtar Bey. Said Halim Pasha who was already Foreign Minister, became Grand Vizier in June 1913 and remained in office until October 1915. He was succeeded in the Ministry by Halil. The CUP, who seized power from LU in January 1913, was more convinced than ever that only an alliance with Britain and the Entente could guarantee the survival of what remained of the Empire. In June, therefore, the subject of an Anglo-Turkish alliance was reopened by Tevfik Pasha, who simply restated his proposal of October 1911. Once again the offer was turned down. The Empire lost territory in the Balkans, where many of its Christian voters were based before the 1914 elections. The CUP made efforts to win support in the Arab provinces by making conciliatory gestures to Arab leaders. Weakened Arab support for the LU and enabled the CUP to call elections with unionists holding the upper hand. After 1914 elections, the democratic structure had a better representation in the parliament; the parliament that emerged from the elections in 1914 reflected better ethnic composition of the Ottoman population There were more Arab deputies, which were underrepresented in previous parliaments. The CUP had a majority government. 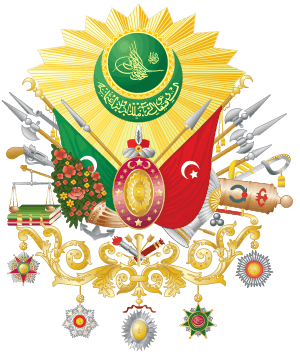 The Ottoman imperial government was established in January 1914. Ismail Enver became a Pasha and was assigned as the Minister of War; Ahmet Cemal who was the military governor of Istanbul became Minister for the Navy; and once a postal official Talaat became the Minister of the Interior. These Three Pashas would maintain de facto control of the Empire as a military regime and almost as a personal dictatorship under Enver Pasha during the World War I. Until the Ottoman general election, 1919, any other input into the political process was restricted with the outbreak of the World War I. The 1914 Burdur earthquake occurred at on 4 October 1914. The Hauran Druze Rebellion was a violent Druze uprising in the Syrian province, which erupted in 1909. The rebellion was led by the al-Atrash family, in an aim to gain independence. The conflict A business dispute between Druze chief Yahia bey Atrash in the village of Basr al-Harir escalated into a clash of arms between the Druze and Ottoman-backed local villagers. Though it is the financial change during second constitutional area; the spread of taxation, elections and conscription, to areas already undergoing economic change caused by the construction of new railroads, provoked large revolts, particularly among the Druzes and the Hauran. 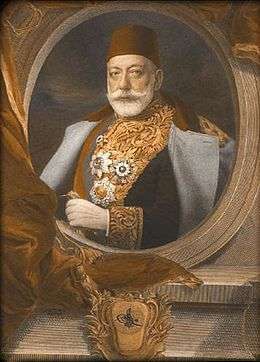 Sami Pasha al-Farouqi arrived in Damascus in August 1910, leading an Ottoman expeditionary force of some 35 battalions. The resistance collapsed. In 1908, the Armenian Revolutionary Federation (ARF) or Dashnak Party embraced a public position endorsing participation and reconciliation in the Imperial Government of the Ottoman Empire and the abandonment of the idea of an independent Armenia. Stepan Zorian and Simon Zavarian managed the political campaign for the 1908 Ottoman Elections. ARF field workers were dispatched to the provinces containing significant Armenian populations; for example, Drastamat Kanayan (Dro), went to Diyarbakir as a political organizer. The Committee of Union and Progress could only able to bring 10 Armenian representatives to the 288 seats in the Ottoman general election, 1908. The other 4 Armenians were representing parties with no ethnic affiliation. The ARF was aware that the elections were shaky ground and maintained its political direction and self-defense mechanism intact and continued to smuggle arms and ammunition. In April 13, 1909, while Istanbul was dealing with the consequences of Ottoman countercoup of 1909 an outbreak of violence, known today as the Adana Massacre shook in April the ARF-CUP relations to the core. In April 24 the 31 March Incident and suppression of the Adana violence followed each other. The Ottoman authorities in Adana brought in military forces and ruthlessly stamped out both real opponents, while at the same time massacring thousands of innocent people. 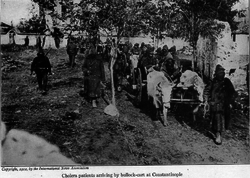 In July 1909, the CUP government announced the trials of various local government and military officials, for "being implicated in the Armenian massacres.". On January 15, 1912, the Ottoman parliament dissolved and political campaigns began almost immediately. 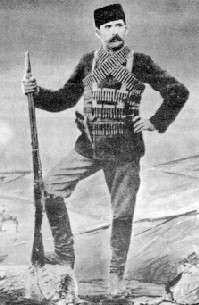 Andranik Ozanian participated in the Balkan Wars of 1912-1913 alongside general Garegin Nzhdeh as a commander of Armenian auxiliary troops. Andranik met revolutionist Boris Sarafov and the two pledged to work jointly for the oppressed peoples of Armenia and Macedonia. 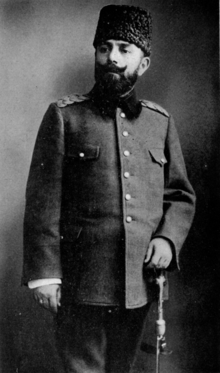 Andranik participated in the First Balkan War alongside Garegin Nzhdeh as a Chief Commander of 12th Battalion of Lozengrad Third Brigade of the Macedonian-Adrianopolitan militia under the command of Colonel Aleksandar Protogerov. His detachment consisted of 273 Armenian volunteers. On May 5, 1912, the Armenian Revolutionary Federation officially severed the relations with the Ottoman government; a public declaration of the Western Bureau printed in the official announcement was directed to "Ottoman Citizens." The June issue of Droshak ran an editorial about it. Shortly after the war started, rumors surfaced that Armenians fighting together with the Bulgarians near Kavala had massacred Muslims. There were overwhelming numbers of Armenians who served the Empire units with distinction during Balkan wars. The ARF quickly disproved 273 Armenian volunteers of Macedonian-Adrianopolitan militia from killing Muslims by pointing out that there were no Armenian names in the list of those accused and published telegrams and testimonials from the Armenians in the Ottoman units. In October 1912, George V of Armenia engaged in negotiations with General Illarion Ivanovich Vorontsov-Dashkov to discuss Armenian reforms inside the Russian Empire. In December 1912, Kevork V formed the Armenian National Delegation and appointed Boghos Nubar. The delegation established itself in Paris. Another member appointed to the delegation was James Malcolm who resided in London and became the delegation’s point man in its dealings with the British. 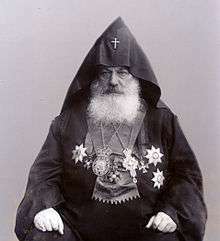 In early 1913, Armenian diplomacy shaped as Boghos Nubar was to be responsible for external negotiations with the European governments, while the Political Council "seconded by the Constantinople and Tblisi Commissions" were to negotiate the reform question internally with the Ottoman and Russian governments. The Armenian reform package was established in February 1914 based on the arrangements nominally made in the Treaty of Berlin (1878) and the Treaty of San Stefano. During the Spring of 1913, the provinces faced increasingly worse relations between Kurds and Armenians that created an urgent need for the ARF to revive its self-defense capability. In 1913, the Social Democrat Hunchakian Party (followed by other Ottoman political parties) changed its policy and stopped cooperating with the Committee of Union and Progress, moving out of the concept of Ottomanism and developing its own kind of nationalism. From the end of July to August 2, 1914, the Armenian congress at Erzurum happened. There was a meeting between the Committee of Progress and Union and the Armenian Revolutionary Federation. Armenian liaisons Arshak Vramian, Stepan Zorian and Khatchatour Maloumian and Ottoman liaisons Dr. Behaeddin Shakir, Omer Naji, and Hilmi Bey were accompanied by an international entourage of peoples from the Caucasus. The CUP requested to incite a rebellion of Russian Armenians against the Tsarist regime in Russian Armenia, in order to facilitate the conquest of Transcaucasia in the event of the opening up of the Caucasus Campaign. 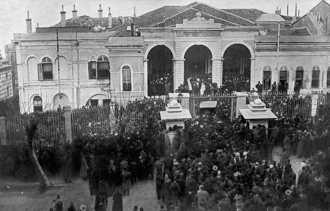 Around the same time, a representative meeting of Russian Armenians assembled in Tiflis, Russian Armenia. 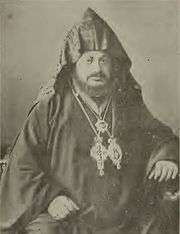 The Tsar asked Armenian's loyalty and support for Russia in the conflict. 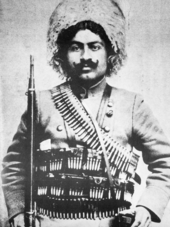 The proposal was agreed upon and nearly 20,000 Armenians who responded to the call of forming Armenian volunteer units inside the Russian Caucasus Army), of which only 7,000 were given arms. On November 2, the first engagement of the Caucasus Campaign began (the Bergmann Offensive), and on December 16, 1914, the Ottoman Empire officially dismantled the Armenian reform package. The first Kurds to challenge the authority of the Ottoman Empire did so primarily as Ottoman subjects, rather than national Kurds. They worked with other Ottoman subjects who were in opposition to the policies of Sultan Abdul Hamid and in 1889 formed the CUP. Abdul Hamid responded with a policy of repression, but also of integration, co-opting prominent Kurdish opponents into the Ottoman power structure with prestigious positions in his government. This strategy appears successful given the loyalty displayed by the Kurdish Hamidiye. 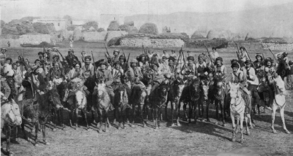 In 1908, after the overthrow of Sultan, the Hamidiye was disbanded as an organized force, but as they were "tribal forces" before official recognition (Hamidiye (cavalry) trained and organized Kurdish force by the Sultan Abdul Hamid II in 1892), they stayed as "tribal forces" after dismemberment. The Hamidiye Cavalry is described as a military disappointment and a failure because of its contribution to tribal feuds. Shaykh Abd al Qadir in 1910 appealed to the CUP for an autonomous Kurdish state in the east. Operating within the autonomist framework. That same year, Said Nursi traveled through the Diyarbakir region and urged Kurds to unite and forget their differences, while still carefully claiming loyalty to the CUP. Other Kurdish Shaykhs in the region began leaning towards regional autonomy. During this time, the Badr Khans had been in contact with discontented Shaykhs and chieftains in the far east of Anatolia ranging to the Iranian border, more in the framework of secession, however. Shaykh Abd al Razzaq Badr Khan eventually formed an alliance with Shaykh Taha and Shaykh Abd al Salam Barzani, another powerful family. In 1908 decision to disbanded, put in force 1909, all units returned to their tribes by August 17, 191O. Yemen Vilayet was a first-level administrative division of the Empire. In the late 19th century, the Zaidis rebelled against the Empire, and Imam Mohammed ibn Yahya laid the foundation of a hereditary dynasty. When he died in 1904, his successor Imam Yahya ibn Mohammed led the revolt against the Empire in 1904-1905, and forced them to grant important concessions to the Zaidis. The Ottoman agreed to withdraw the civil code and restore sharia in Yemen. In 1906, the Idrisi leaders of Asir rebelled against the Ottomans. By 1910 they controlled most of Asir, but they were ultimately defeated by Ottoman Modern Army and Hejazi forces. 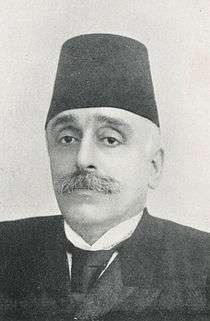 Ahmed Izzet Pasha concluded a treaty with Imam Yahya in October 1911, by which he was recognized as temporal and spiritual head of the Zaidis, was given the right to appoint officials over them, and collect taxes from them. The Ottomans maintained their system of government in the Sunni-majority parts of Yemen. Ottomans were losing their last directly ruled African territory. The Italians also sent weapons to Montenegro, encouraged Albanian dissidents, seized Rhodes and the other. Seeing how easily the Italians had defeated the disorganized Ottomans, the members of the Balkan League attacked the Empire before the war with Italy had ended. On October 18, 1912, Italy and the Empire signed a treaty in Ouchy near Lausanne. Often called Treaty of Ouchy, but also named as the First Treaty of Lausanne. When the Italian War and the counterinsurgency operations in Albania and Yemen began to fail, a number of high-ranking military officers, who were unhappy with the counterproductive political involvement in these wars, formed a political committee in the capital. Calling itself the Group of Liberating Officers or Savior Officers, its members were committed to reducing the autocratic control wielded by the CUP over military operations. Supported by the Liberal Union in parliament, these officers threatened violent action unless their demands were met. Said Pasha resigned as Grand Vizier on July 17, 1912, and the government collapsed. A new government, so called the "Great government", was formed by Ahmet Muhtar Pasha. The members of the government were prestigious statesmen, technocrat government, and they easily received the vote of confidence. This CUP excluded from cabinet posts. The 1912 Mürefte earthquake occurred causing 216 casualties on 9 August 1912. The Ottoman Aviation Squadrons established by largely under French guidance in 1912 . Squadrons were established in a short time as Louis Blériot and the Belgian pilot Baron Pierre de Caters performed the first flight demonstration in the Empire on 2 December 1909. It is not possible to understand CUP policy and behavior after 1913 without realizing what a traumatic effect the Balkan Wars had. Empire had lost the very lands that had provided the life-blood for centuries. Empire agreed to a ceasefire on 2 December, and its territory losses were finalized in 1913 in the treaties of London and Bucharest. Albania became independent, and the Empire lost almost all of its European territory (Kosovo, Sanjak of Novi Pazar, Macedonia and western Thrace) to the four allies. Loss of 83 percent of their European territory and almost 70 percent of their European population. 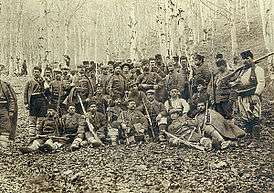 Balkan Wars did not only happen as a regular warfare. 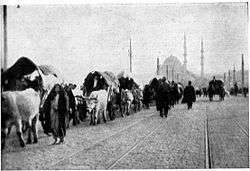 In the two-year period between September 1911 and September 1913 ethnic cleansing sent hundreds of thousands of Muslim refugees, or as known as muhacir, streaming into the Empire, adding yet another economic burden and straining the social fabric. During the wars, food shortages and hundreds of thousands of refugees haunted the empire. 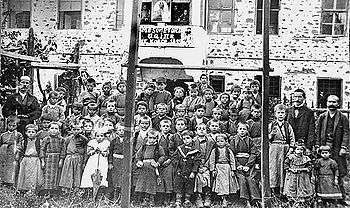 After the war there was a violent expel of the Muslim peasants of eastern Thrace. Albania had been under Ottoman rule in about 1478. When Serbia, Montenegro, and Greece laid claim to Albanian-populated lands during Balkan Wars, the Albanians declared independence. The European Great Powers endorsed an independent Albania in 1913, after the Second Balkan War leaving outside the Albanian border more than half of the Albanian population and their lands, that were partitioned between Montenegro,Serbia and Greece. They were assisted by Aubrey Herbert, a British MP who passionately advocated their cause in London. As a result, Herbert was offered the crown of Albania, but was dissuaded by the British prime minister, H. H. Asquith, from accepting. Instead the offer went to William of Wied, a German prince who accepted and became sovereign of the new Principality of Albania. Albania's neighbors still cast covetous eyes on this new and largely Islamic state. The young state, however, collapsed within weeks of the outbreak of World War I. The History of the Ottoman Empire during World War I began with the Ottoman's attack on Russia's Black Sea coast on 29 October 1914. The attack prompted Russia and its allies, Britain and France, to declare war on the Ottoman Empire in November 1914. The Ottoman Empire was active in the Balkans theatre and Middle Eastern theatre - the latter had five main campaigns: the Sinai and Palestine Campaign, the Mesopotamian Campaign, the Caucasus Campaign, the Persian Campaign, and the Gallipoli Campaign. There were also several minor campaigns: the North African Campaign, the Arab Campaign and the South Arabia Campaign. 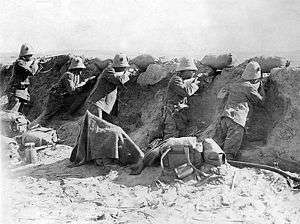 There were several important Ottoman victories in the early years of the war, such as the Battle of Gallipoli and the Siege of Kut. The Armistice of Mudros was signed on 31 October 1918, ending the Ottoman participation in World War I. Just before the end of World War I, Sultan Mehmet V died and Mehmet VI became the new Sultan. The Occupation of Constantinople took place in accordance with the Armistice of Mudros, ending the Ottoman participation in World War I. The occupation had two stages: the initial occupation took place from 13 November 1918 to 16 March 1920; from 16 March 1920 - Treaty of Sevres. 1918 saw the first time Constantinople had changed hands since the Ottoman Turks conquered the Byzantine capital in 1453. An Allied military administration was set up early in December 1918. Haghia Sophia was converted back into a cathedral by the Allied administration, and the building was returned temporarily to the Greek Orthodox Ecumenical Patriarch. The CUP members were court-martialled during the Turkish Courts-Martial of 1919-20 with charges of subversion of the constitution, wartime profiteering, and the massacres of both Greeks and Armenians. The courts-martial became a stage for political battles. The trials helped the LU root out the CUP from the political arena. The fall of the CUP allowed the Palace to regain the initiative once again, though only for less than a year. The British also rounded up a number of members of the Imperial Government and interned them in Malta, only for them to be exchanged in the future for British POWs without further trial. Sir Gough-Calthorpe included only members of the Government of Tevfik Pasha and the military/political personalities. Discredited members of the Ottoman regime were resurrected in order to form ephemeral governments and conduct personal diplomacy. 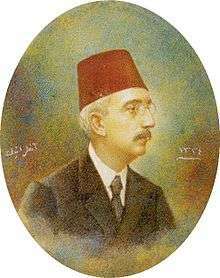 Thus, Ahmed Tevfik Pasha formed two ministries between November 1918 and March 1919, to be followed by Abdul Hamids brother-in-law Damad Ferid Pasha who led three cabinets in seven months. Damad Ferid, having served in diplomatic missions throughout Europe during the Hamidian era, and having been acquainted with European statesmen during his tenure as a Liberal politician, was considered an asset in the negotiations for the very survival of the Ottoman state and dynasty. Bahaeddin Shakir, Speaker of the Chamber of Deputies. The text of the Treaty of Sevres was not made public to the Ottomans until May 1920. The Allies decided that the Empire would be left only a small area in Northern and Central Anatolia in which to live. Contrary to general expectations, the Sultanate along the Caliphate was not terminated, and it was allowed to retain capitol and a small strip of territory around the city, but not the straits. The shores of the Bosporus and the Dardanelles were planned to be internationalized, so that the gates of the Black Sea would be kept open. West Anatolia was to be offered to Greece, and East Anatolia was to be offered to Armenia. The Mediterranean coast, although still a part of the Empire, was partitioned between two zones of influence for France and Italy. The interior of Anatolia, the first seat of Ottoman power six centuries ago, would retain Ottoman sovereignty. The Allies were freed to deal with the Sultan directly. Mehmed VI signed the Treaty on 10 August 1920. The Imperial Government in Constantinople attempted and failed to convene the Senate to ratify the treaty; its legitimacy was fatally undermined by the Turk nationalists' refusal to cooperate. The resulting Turkish War of Independence and the subsequent nationalist victory permanently prevented the Treaty from being ratified. The Turkish War of Independence ended with the Turkish nationalists in control of much of Anatolia. 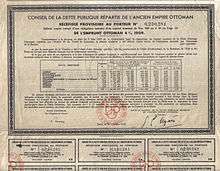 On 1 November 1922 the Turkish provisional government formally declared the Ottoman Sultanate and, with it, the Ottoman Empire to be abolished. Mehmed VI departed Constantinople and into exile on 17 November 1922. The Allies and Turks met in Lausanne, Switzerland to discus a replacement for the unratified Treaty of Sèvres. The resulting Treaty of Lausanne secured international recognition for the new Turkish state and its borders. The Treaty was signed on 24 July 1923 and ratified in Turkey on 23 August 1923. The Republic of Turkey was formally declared on 29 October 1923. Erickson, Edward (2003). Defeat in Detail: The Ottoman Army in the Balkans, 1912-1913. Westport: Palgrave Macmillan. Finkel, Caroline (2005). Osman's Dream: The Story of the Ottoman Empire, 1300-1923. Basic Books. Minahan, James (2002). Encyclopedia of the stateless nations. 1. A - C. Greenwood Publishing Group. ISBN 978-0-313-32109-2. Retrieved 2013-06-01. Reynolds, Michael A. (2011). Shattering Empires: The Clash and Collapse of the Ottoman and Russian Empires 1908-1918. Cambridge University Press. p. 324. ISBN 0521149169. ↑ From the 15th century ordinary functions of government were left out of the Empire's control and each Millet began to run their own schools, to collect taxes to support welfare for its own group, to organize and police its own neighborhoods and to punish transgressors according to its own laws in its own courts. Under this system, different religious and ethnic groups enjoyed a wide range of religious and cultural freedoms and considerable administrative, fiscal and legal autonomy. ↑ The Russian cable informing the coming agreement: "Thus the Act of January 22nd 1914 signifies without doubt the opening of a new and happier era in the history of the Armenian people. In political significance: it is comparable with the Firman of 1870 in which the Bulgarian Exarchate was founded and the Bulgars were freed from Greek guardianship. The Armenians must feel that the first step has been taken towards releasing them from the Turkish yoke. The agreement of January 26th 1914 has at the same time great significance for the international status of Russia. It has been signed personally by the Grand Vizier and Russia's representative and pledges the Turks to hand to the Powers a note the contents of which have been precisely set forth. The outstanding role of Russia in the Armenian question is thus officially emphasized and Art 16 of the Treaty of San Stefano to some extent ratified. ↑ Regarding the alliance's provisions for mutual defense, it was aimed for Japan to enter the First World War on the British side. ↑ List of religions under the inspectorates were Muslim, Orthodox Christian, Apostolic Christian, Catholic Christian, Evangelical Christian, Syriac Orthodox Christian, and Jews. Kurds who were fighting for autonomy in the same region of the inspectorates were classified as Muslim. In 1908, the Ottoman parliament had 288 seats and 14 were occupied by Armenians. ↑ About First Republic of Armenia. First Republic of Armenia May 28, 1919-December 2, 1920. ↑ Quataert, D. The Ottoman empire 1700-1922. Cambridge: Cambridge university press, 2005, p.178. 1 2 3 Rogan, E.L. "Frontiers of the State in the Late Ottoman Empire: Transjordan, 1850-1921". Google.co.il. p. 192. Retrieved 2013-09-01. ↑ Jwaideh, Wadie (2006). The Kurdish National Movement: Its Origins and Development. Syracuse: Syracuse University Press. ISBN 081563093X. ↑ Archives Diplomatiques, third series, vol. 126, p. 127. 1 2 Raymond Zickel and Walter R. Iwaskiw (1994). ""National Awakening and the Birth of Albania, 1876–1918", Albania: A Country Study". countrystudies.us. Retrieved 9 April 2008. ↑ Armenien und der Völkermord: Die Istanbuler Prozesse und die Türkische Nationalbewegung. Hamburg: Hamburger Edition. 1996. p. 185.